It's that kind of thinking that's killing the game when you're talking about names being a "brand" that's when people start losing their mental individuality and become just a basic physical object. Come on man smarten up. People only need so much money to get greedy ends up being a hard ending to a person's life when it comes to an end. Plus it's killing the game of football the common people are losing interest because of it, greed. 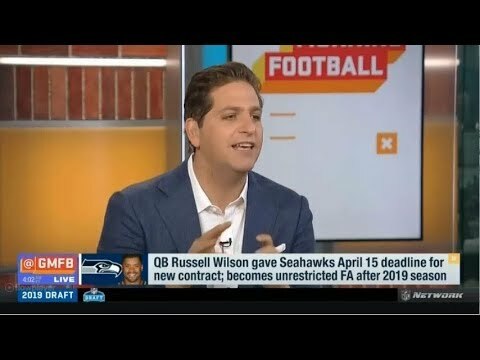 Seattle trade Russell Wilson for the first pick this year and Number 1, 2 in 2020 and number 2 pick 2021 and take Kyler Murray (Russell 2.0) this year in the draft and use extra draft picks for O Line and supporting Off players. Then Cardinals trade Josh Rosen to Giants for a 2nd round this year and a 2nd and 3rd round next year. Kyler Murray is a Russell Wilson you have more chance as history shows to win with a QB in there first daft contract cause you can pay the rest of the team you need. Patriots have a QB that understands if he takes the money he gives up championships if you spread the wealth to the team to get the championships.